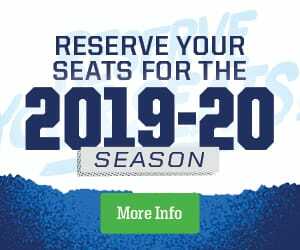 True North Sports + Entertainment and the Manitoba Moose strives to put together teams filled with players whose talent is matched, if not exceeded, by their character. An integral part of that character is their commitment to our community. As a result, our players, sponsors, management, and staff work together throughout the season on various initiatives to improve and support those who support us each and every day. Manitoba Moose Community Relations is proud to be involved in the community through a variety of programs and events throughout the year. Please check back for more details about specific events. The True North Youth Foundation is the charitable arm of the Winnipeg Jets, and ‘charity of choice’ for the Bell MTS Place and Bell MTS Iceplex. 50/50 draws are made at every Manitoba Moose home game at Bell MTS Place. Half of the gross revenue from 50/50 ticket sales will be awarded as the prize, and proceeds from the 50/50 draw go to support the True North Youth Foundation. True North Sports + Entertainment Limited and the Manitoba Moose Hockey Club are dedicated to serving the community through a variety of interactive charity and community service programs. To request an appearance by Mick E. Moose at your next event, fill out the Mascot Appearance Request Form. Appearance requests must be submitted at least two weeks prior to your event. For a $50 donation to the True North Youth Foundation, your greeting will appear on the scoreboard at the beginning of the second intermission and include one of the four approved messages, a name and a year for birthdays or anniversaries. Stick to Reading is a program designed to encourage and promote literacy to youth in our community. In an effort to celebrate I Love to Read Month, students and teachers from local schools can enter for their chance to win a visit from Manitoba Moose players.